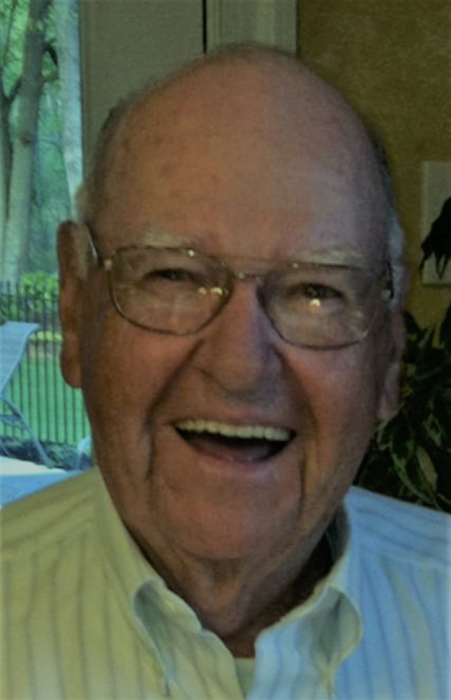 Spartanburg, SC: Kenneth Lee, 80, passed away Saturday February 2, 2019 at Spartanburg Regional Medical Center with his family by his side. He was born April 1, 1938 to the late James J. Lee and Elsie McClure Lee. Daddy grew up on a farm and loved sharing memories from ‘the good old days.’ After graduating from high school, he began working in textiles at Gaffney Manufacturing Co., known by all as ‘The Big Mill.’ He worked there as a loom fixer, inspector, and weave room supervisor for 25 years. As the textile industry began to decline he continued working in textiles at Drayton, Mayfair and finally Musgrove Mill before retiring in 2002. He had many great memories of those years and loved to share those stories with us. While he worked hard to provide for his family, he found time to enjoy many other pleasures in life. He loved to hunt, fish, take day trips, train his bird dogs (quail hunting was his favorite), and play the guitar. He was a self-taught guitarist and played by ear until Barry taught him the Nashville Number Chord System. After that he could play any song put before him, but my favorite was always ‘The Wildwood Flower’, and he would play it over and over for me. He was an amazing cook and made the best hash. He also enjoyed baking a cake for each of our birthdays every year. He loved to ‘engineer’ items to make life easier, usually with Mark working along side him. Daddy always believed that a man’s word was his honor, and he always treated others the way he expected to be treated. Everyone that met daddy thought he was the sweetest and kindest person, and they were right. It made him feel good to do for and give to others. Most times when you saw him, he would be dressed in his favorite outfit, a pair of overalls and a flannel shirt. That was his look and when he felt most comfortable. He was a simple man. He loved his tractors and was able to work them up to a few short months ago. As his health continued to decline, he left his home to live with us. I am so very thankful for that opportunity to care for him. He is survived by his two daughters Kathy Taylor and husband Barry, and Rena Smith and husband Mark; his beloved grandchildren Brooklyn Hardin and her husband Ethan, Brandon Smith and his fiancée Maddie McCraw, Ashlee Cabaniss and her husband Colton, Daniel Smith and his girlfriend Tiffany Kelley; great grandson Hollis Sizemore and two expected great grandchildren; a grandson and great granddaughter through marriage, Barry Taylor II and Aubrey Cabaniss. He was predeceased by two brothers, Howard E. Lee and Elmer Lee; his former wife and mother to his girls, Shirley Lee. Thank you to his rabbit hunting buddies Carson Atkins and Oliver Baker for the great memories, and his friend Jim Willis who checked on him daily. A special thank you to all the nurses and PCA’s on 6 Pavilion at Spartanburg Regional Medical Center for the love and compassion shown to daddy over the past three weeks, and to Chaplain John who was with us throughout our stay. While we are so sad to have to say goodbye to such a great man, we are happy that he no longer suffers. We rejoice in the fact that through God’s Grace we will see him again one day. The family will receive friends from 1:00 pm - 2:00 pm Tuesday February 5, 2019 at Bobo Funeral Chapel. Please join us for his memorial service immediately following, officiated by Dr. Hank Williams. Burial will follow at Good Shepherd Memorial Park, Boiling Springs, SC.